Photo: Jorge Francisco Sanchez Ramirez. The defense of our lands and territories is fundamental but we also understand that there have been various consequences from these long-standing conflicts. in particular the forced displacement of indigenous peoples. Many people from Mexico and Central America were forced to flee between the 1970s - 1990s due to civil wars, dictatorships and genocide in the region. 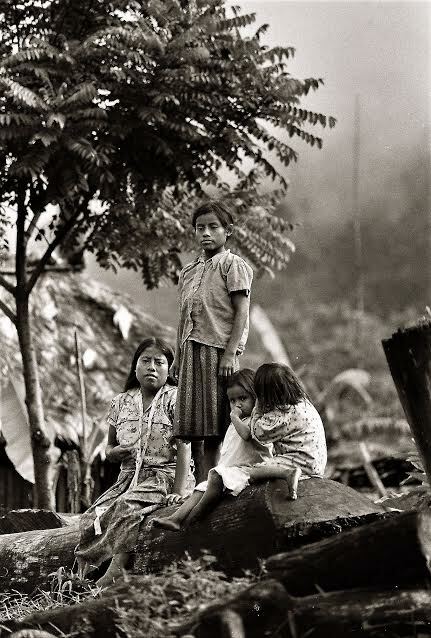 Indigenous peoples in Guatemala were some of the most affected as we were specifically targeted under the scorched earth policy of the government. Today, continued unresolved conflicts related to land rights, indigenous rights, and U.S. policies have allowed for continued violence and instability in the region as well as new policies and a continued wave of people forced from their lands. In the United States, a framework of extreme rhetoric, racism, discrimination, and fear against "immigrants" has made it even more important to advocate with our communities. We as indigenous peoples are invisible because we are classified as Hispanics or Latinos and not recognized as being part of an indigenous Nation. The result is that our communities are often forgotten, lost and isolated within a complex and frightening immigration system. The experience of exclusion is further exacerbated by language barriers, cultural differences, worldview, and trauma from historical factors that have caused forced migration. Faced by this situation, we are organizing with allied indigenous leaders in the community to address the situation confronting our community through public conferences, panels and leadership development.